Watch full One Piece Season 15 Episode 21 English Dubbed full HD online. One Piece Episode 537 English Dubbed online for free in HD. 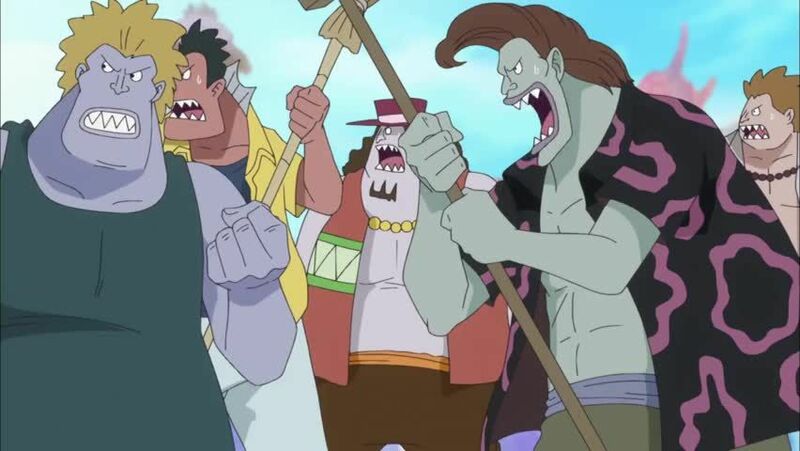 The citizens of Fishman Island are left in a panic that Shirahoshi has been kidnapped by Luffy. Despite Chopper’s protests, Sanji finally turns around and is petrified. Oblivious to Decken’s invasion, the fishmen tie up Luffy, but Decken arrives and confronts Shirahoshi. When Shirahoshi rejects Decken’s proposal, saying that he is not her type, Decken attacks her. Vowing to protect Shirahoshi, Luffy confronts Decken to the astonishment of the island’s citizens and Sanji returns to normal. Luffy finally knocks out Decken with his Gum Gum Jet Hammer technique before the group flees to the Sea Forest. Meanwhile, Nami and Camie flee the Ryugu Palace and also head for the Sea Forest. At the Ryugu Palace, Zoro uses his Lion Strike technique on Hordy and seemingly defeats him.